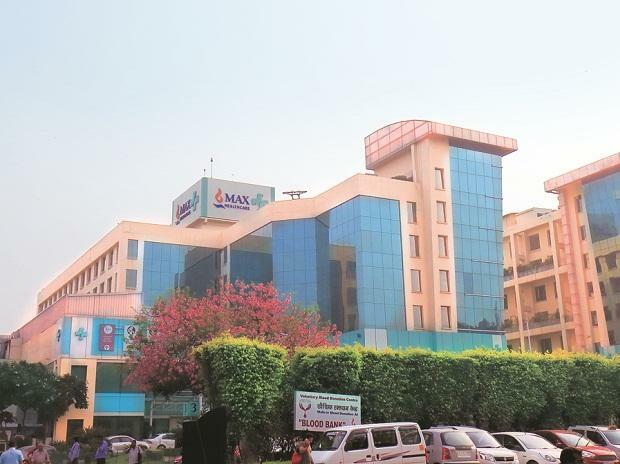 Radiant Life Care Private Limited, a leading Indian hospital management company promoted by Abhay Soi and backed by global investment firm KKR, has entered into a transaction under which its shareholders will acquire a majority stake in Max Healthcare Institute Limited from Max India Limited. According to a press release issued by Radiant Life Care on Monday, the acquisition will be undertaken through a series of transactions, including Radiant’s purchase of a 49.7 per cent stake in Max Healthcare from South Africa-based hospital operator Life Healthcare in an all cash deal, followed by demerger of Radiant’s healthcare assets into Max Healthcare. This will result in KKR and Radiant promoter Abhay Soi together acquiring a majority stake in Max Healthcare. The Radiant-Max Healthcare combine will create the largest hospital network in North India, and the top three hospital networks in India by revenue and fourth largest in terms of operating beds, the release says. The merged entity will operate over 3,200 beds throughout 16 hospitals across India, including tertiary and quaternary care facilities offering high end critical and super speciality care supported by strong local brands such as BLK Hospital, Max Saket Hospital, Max Smart Hospital, Max Patparganj Hospital, and Nanavati Hospital. The combined business is expected to provide significant growth potential and compelling business synergies. By providing best-in-class patient care, the combined business plans to address India’s growing demand for quality medical treatment. Upon closing, Abhay Soi will lead the combined company as its Chairman, supported by a strong leadership team. i.Prior to the merger transaction involving Radiant and Max Healthcare, Max India will demerge its non- healthcare businesses (comprising of Max Bupa and Antara Senior Living) into a new wholly owned subsidiary of Max India whose shares will be listed separately on both BSE Limited and National Stock Exchange of India Limited. ii.This new company will be spun off, and shareholders of Max India will receive one share of Rs 10 each of the new company for every five shares of Rs 2 each that they hold in existing Max India. iii.Following the demerger and the spin-off, Radiant’s healthcare assets will be demerged into Max Healthcare, which will then undertake a reverse merger with Max India to create Merged Max Healthcare (The “Combined Entity” or “Merged Entity”). As a result of the reverse merger, shareholders of Max India will receive 99 shares of the Merged Entity of Rs 10 each for every 100 share of Rs 2 each that they hold in Max India. iv.Post-merger, Max India will get dissolved without being wound up and subsequently the equity shares of the Merged Entity will get listed on both BSE Limited and National Stock Exchange of India Limited. v.Based on the share exchange ratio recommended in the valuation report issued by SR Batliboi & Co LLP and BSR Associates LLP, the resultant shareholding of the Combined Entity will be 51.9 per cent, 23.2 per cent and 7 per cent (post sale of 4.99 per cent as mentioned below) held by KKR, Abhay Soi and Max Promoters respectively, with the balance being held by public and other shareholders. A record date will be fixed in due course by the Board of Max India in conjunction with the Board of Radiant. The Combined Entity will be promoted by Abhay Soi and co-promoted by KKR. Max India’s current promoters will subsequently step down through the process of de-promoterisation after completion of the merger. KKR will also acquire an additional stake of 4.99% in the Merged Entity from Max Promoters, funded primarily from KKR Asian Fund III. The transaction is subject to regulatory approvals and other customary closing conditions. The merged entity will continue to use the current brand name Max Healthcare, with appropriate adjustments to its logo. Radiant is promoted by Abhay Soi and is in the business of developing/redeveloping hospitals to provide high end quaternary care. Presently, Radiant has two iconic facilities in its portfolio namely: BLK Super Specialty Hospital, Delhi and Nanavati Super Specialty Hospital, Mumbai. Radiant entered healthcare in 2010 with the re-development and commissioning of BLK, a 650-bed hospital, one of the largest private sector hospitals in Delhi and NCR. Besides this flagship hospital, Radiant collaborated with the Nanavati Hospital Trust in 2014 to take over the operations of Nanavati, a 350-bed multi-specialty hospital. Over the next four years, Radiant plans to transform Nanavati into a 800 bed state-of-the-art quaternary care institute and expand BLK by another 200 beds. Max India, the holding company of Max Bupa Health Insurance and Antara Senior Living and equal joint venture partner in Max Healthcare, is focused on health and allied businesses. Max Healthcare and Max Bupa Health Insurance are joint ventures with global leaders, Life Healthcare (South Africa) and Bupa Finance Plc. (UK), respectively. These businesses have well-entrenched positions in their respective categories and are recognized for their outstanding service standards. The Company owns and actively manages a 49.70% per cent stake in Max Healthcare, a 51% stake in Max Bupa Health Insurance and a 100% stake in Antara Senior Living. Max India is listed on both the Bombay Stock Exchange as well as the National Stock Exchange. Max Healthcare is the Country’s leading comprehensive provider of standardized, seamless and world-class healthcare services. It is committed to the highest standards of medical and service excellence, patient care, scientific and medical education. Max Healthcare has 14 facilities in North India, offering services in over 30 medical disciplines. Of this, 11 facilities are located in Delhi & NCR and the others in Mohali, Bathinda and Dehradun. The Max network includes state-of-the-art tertiary care hospitals in Saket, Patparganj, Vaishali, Shalimar Bagh, Mohali, Bathinda and Dehradun, secondary care hospitals at Gurgaon, Pitampura, Noida & Greater Noida and an out-patient facility and speciality centre at Panchsheel Park. The Super Speciality Hospitals in Mohali and Bathinda are under PPP arrangement with the Government of Punjab. Max Healthcare has a base of over 3,000 doctors, 10,000 employees and over 2.2 million patients from over 80 countries, across its network of 14 hospitals. KKR is a leading global investment firm that manages multiple alternative asset classes, including private equity, energy, infrastructure, real estate and credit, with strategic partners that manage hedge funds. KKR aims to generate attractive investment returns for its fund investors by following a patient and disciplined investment approach, employing world-class people, and driving growth and value creation with KKR portfolio companies. KKR invests its own capital alongside the capital it manages for fund investors and provides financing solutions and investment opportunities through its capital markets business. References to KKR’s investments may include the activities of its sponsored funds.